Kansas City Comets tickets are fully refundable for three days* after you purchase them, and up until one week before the event, unless stated otherwise when purchasing the tickets. Tickets purchased through Ticketmaster.com or the Silverstein Eye Centers Arena box office must be returned through those venues and may not be eligible for refund. *Exceptions include Group Packages, Suites, Birthday Parties and other premium tickets, tickets purchased through resale, tickets purchased with additional related items or bundled products, tickets subsequently offered at a discount, and tickets for participating teams' away games. 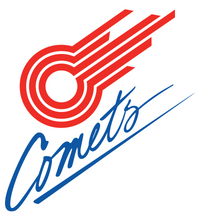 Most items purchased at a Kansas City Comets home match can be exchanged at that same game and we’ll honor your promotional or sale price with the exchange.